We have recently replaced an Intack Voice Alarm system at The Brewery Centre in Cheltenham for A & E Fire and Security. The Brewery is Cheltenham’s premier destination for eating out, leisure and family entertainment. It offers a mix of restaurants, bars, gym, kid’s play centre, cinemas and bowling, bringing a new dimension to family entertainment and dining in the heart of Cheltenham. Since the Intack system employed a DC monitoring technique, to check if it’s loudspeaker circuits were faulty, we opted to use Baldwin Boxall’s Vigil EVAS 2 voice alarm equipment. 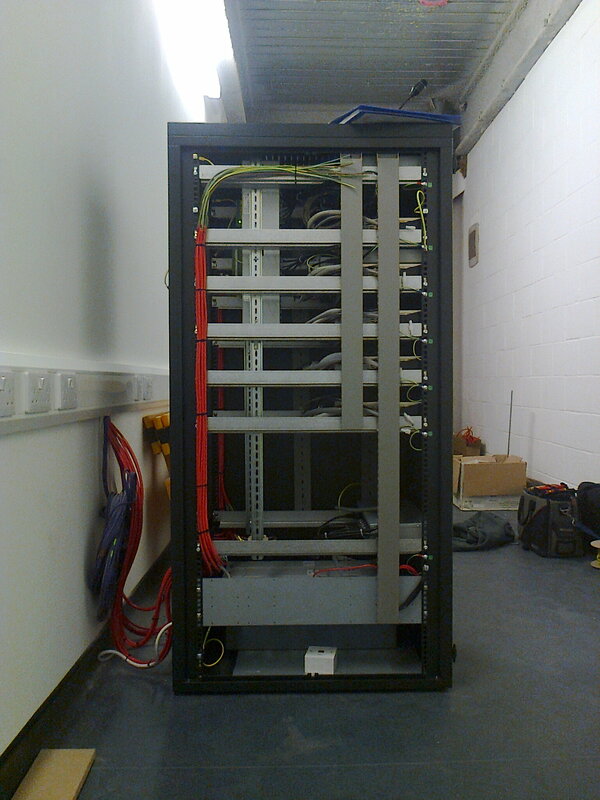 As a result this meant we could retain the existing end of line monitoring resistors on the sites loudspeaker circuits. Each zone is served by two amplifiers to provide what is known as ‘A’ and ‘B’ circuits. These circuits connect to alternate loudspeakers such that if say the ‘A’ circuit fails the area is still covered by the ‘B’ circuit. In addition a ‘hot standby’ amplifier is automatically switched in to replace any amplifier that may go faulty. This message will be broadcast in the activated fire alarm zone and also in the Mall area. For instance, if the fire alarm is activated in premises on the Oxford Road side of the Mall the alert message is broadcast to the Oxford Road service yard and also to the Mall. Should the incident escalate the digitally stored evacuate message is then broadcast to all areas.